The new playground for the Bengbu Social Welfare Institute in finally complete! 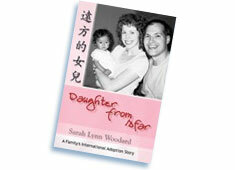 THANK YOU to everyone who so generously helped support this project! We appreciate your help so very much! Jeff Kircik, China Project Manager for Packages of Hope, presents a brand new beautiful scooter to a disabled teen living in the Bengbu Social Welfare Institute in China. These scooters provide a level of freedom once only dreamed of! 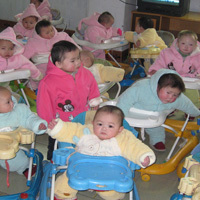 New winter clothing provided for the children living in the QianJiang SWI in China. 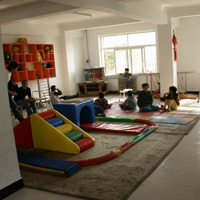 Indoor play and therapy equipment was provided for the Jinzhou Social Welfare Insitute in China. Thank you to our generous supporters. 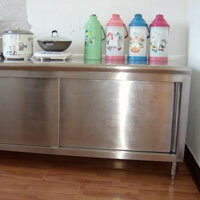 Thanks to donations made in memory of two loving grandmothers, children in Yujiang will be comfy this season! 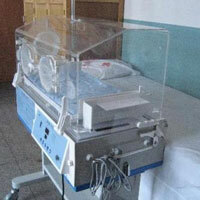 Thank you to all our donors for funding this new incubator for the Lanzhou Social Welfare Instutite. We appreciate your support so much! When our volunteers visited the Siping SWI last spring they learned that the orphanage needed a surface and storage area to prepare meals and bottles. Thank you for helping fund this need! 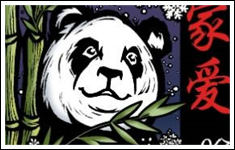 Order our adorable holiday greeting cards and help support programs in China! The inside of the card reads: May the love of family and friends bring you hope for the holidays! 20 cards for $25, including shipping and handling. go to benefit Packages of Hope!